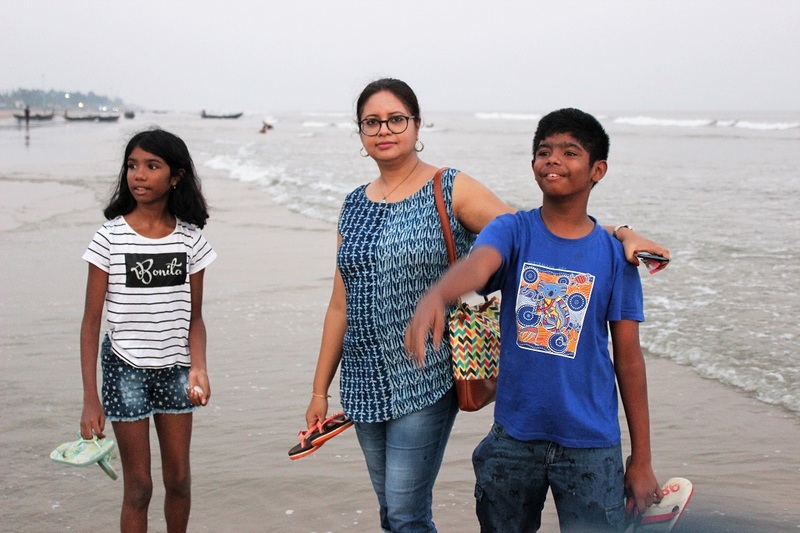 A Fun-filled Weekend at Mandarmani - Ghumakkar - Inspiring travel experiences. Unlike last year, my sister joined us this time; so, it was an added excitement for us. My nephew and niece also tagged along. So, it was the five of us and we boarded the train as early as six in the morning. On reaching the Digha station at around nine O’clock we hired a cab. It took us roughly forty minutes to reach our destination. While checking in I could see the children getting restless as the swimming pool was very inviting and they just wanted to jump in. So, without further delay they changed into their swim suits and started splashing in the water. As the sun was very hot we decided to stay back at the resort. The resort serves buffet lunch ; it was a huge spread but the food was very spicy and rich. We somehow bolted the food down and hurried back to our respective rooms for some rest. At about four O’clock we were out on the beach. I had been longing for this moment to arrive since morning. I felt so happy and rejuvenated as the mild sea breeze touched my skin. 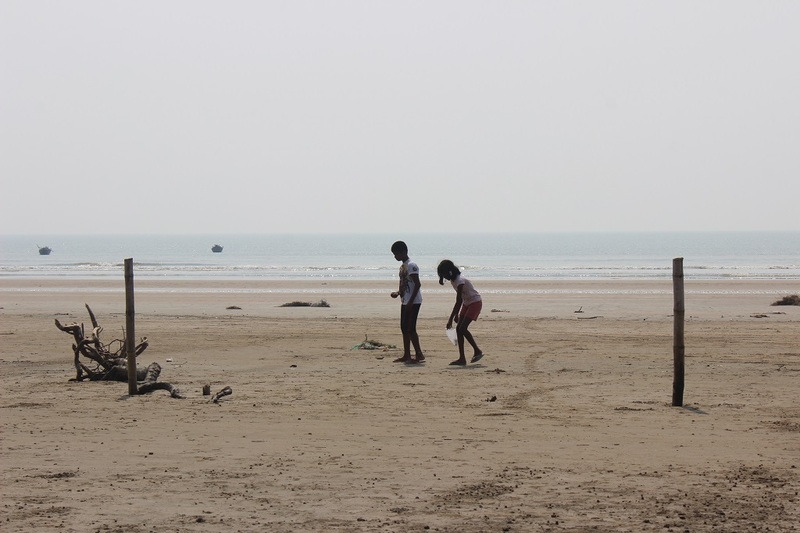 The kids went cavorting along on the beach collecting sea shells; the rest of us sat in a shack overlooking the sea. While sipping tea we requested the shack owner to prepare a light dinner for us, he readily complied. The sun had gone down gradually and the moon shone brightly in the night sky. We sat there gazing at the beautiful nature. After sometime I went forward and dipped my feet in the water. The cold waves came crashing down on my feet, the feeling was ethereal and I could hardly contain my joy. At night we had dinner by the sea and went back to our resort. The next morning, I woke up very early to witness the sunrise. 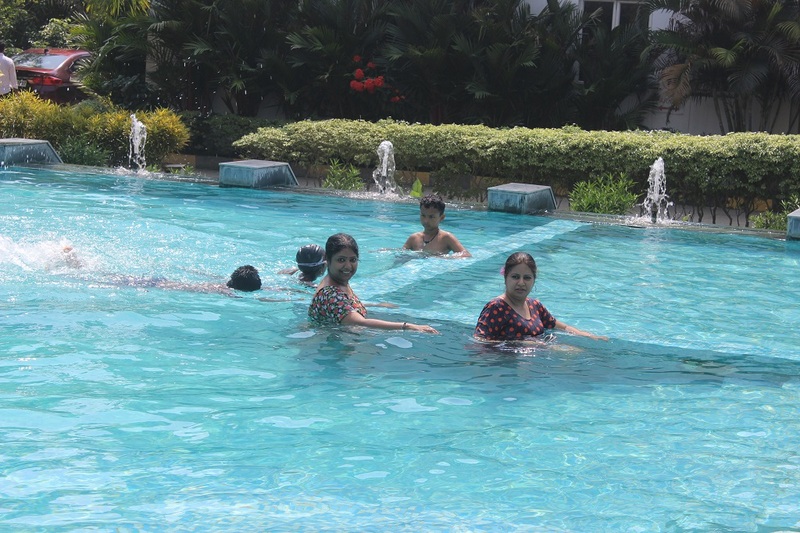 Later on in the day we joined the kids and had a fun time in the swimming pool. 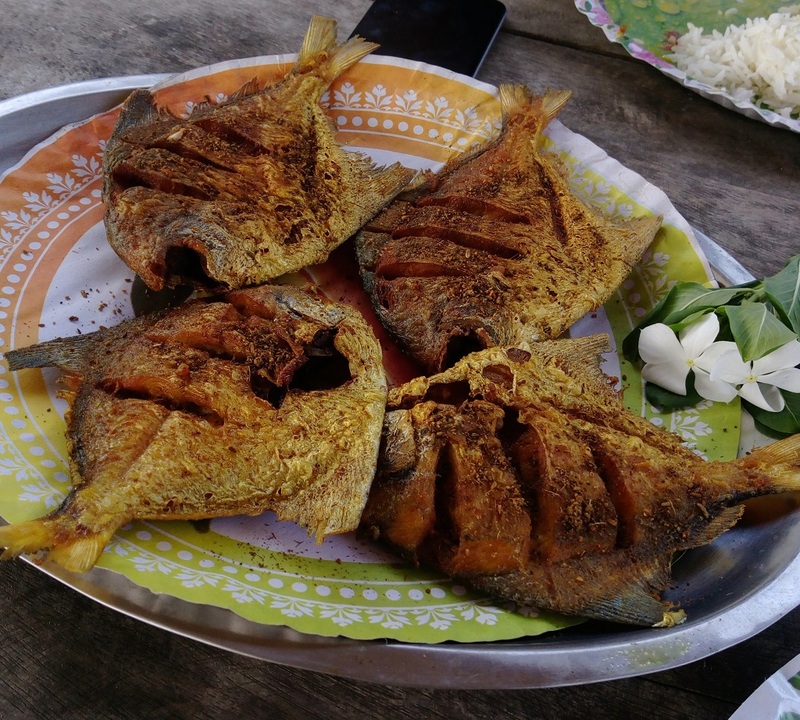 At lunch we had ordered pomfret fries and they tasted amazingly good. As evening was closing in we ventured out to the sea again; this time we had a long stroll on the beach. The kids were frisking about here and there, busy collecting some beautiful shells. Coming back to the shack I ordered tea, as I was sitting and contemplating on what to do the next morning, a little girl came by and requested us to buy shells from her. In order to help the local economy my sister bought a few. Happiness glowed on the girl’s face, she thanked us and sprinted away. We sat there for a long time enjoying the cool breeze and discussing the cosmos, the sun, the moon and what not; did not realise that time had run out and we should go back to our resort. 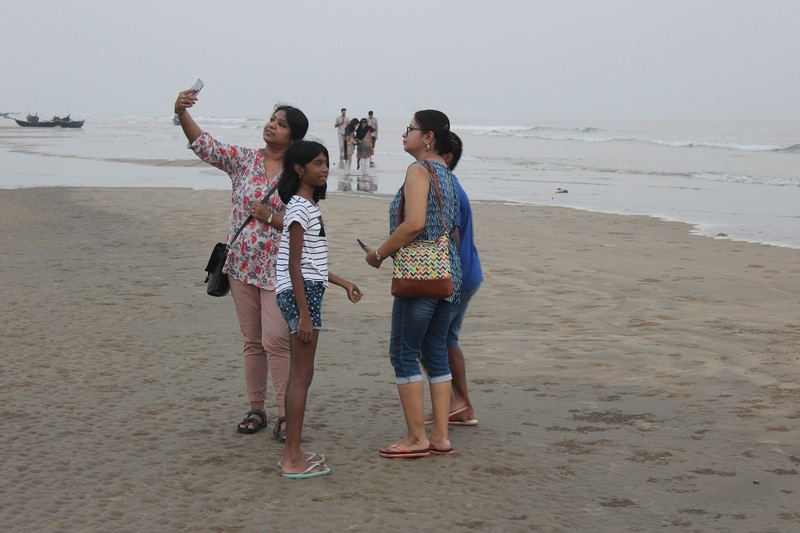 The next day we were supposed to check out, but when my husband declared that he wanted to cover the Tajpur beach while going back to the station, I jumped for joy. 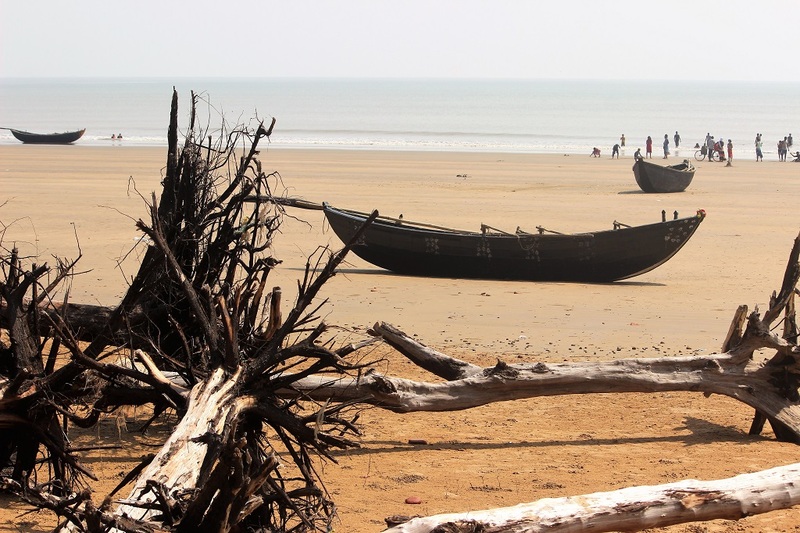 We buckled to and finished packing in no time and set off to the Tajpur beach. 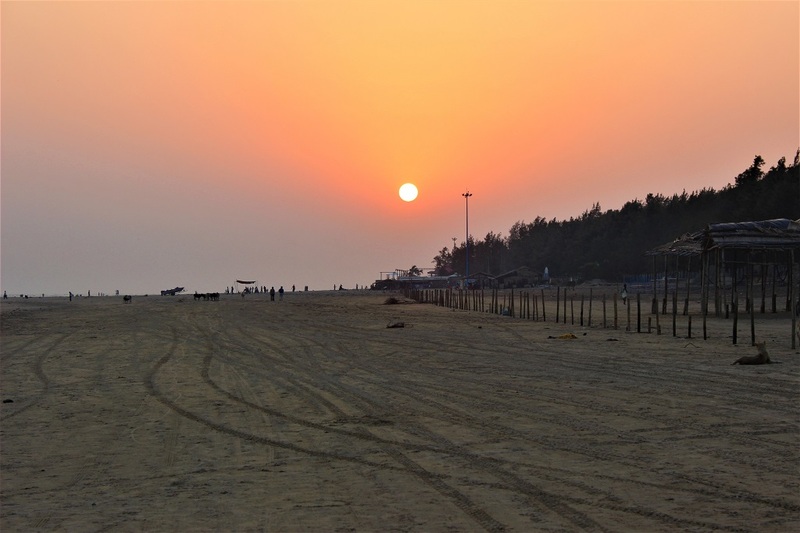 This beach has a charm of its own; with the casuarina trees swaying their heads to and fro and the wide beach spreading over miles, one can feel extremely happy and satisfied at the same time. One must not miss out on the coconut water here. Our driver recommended us to order crab curry, would have regretted if we had not listened to him as the curry tasted mind blowing! We had very little time in our hands, so took some quick pictures and headed towards the station. The trip was a very short one but I had cherished each and every moment of my journey to the sea side. Relaxing for you or not, but your post indeed was relaxing to me Koyela! 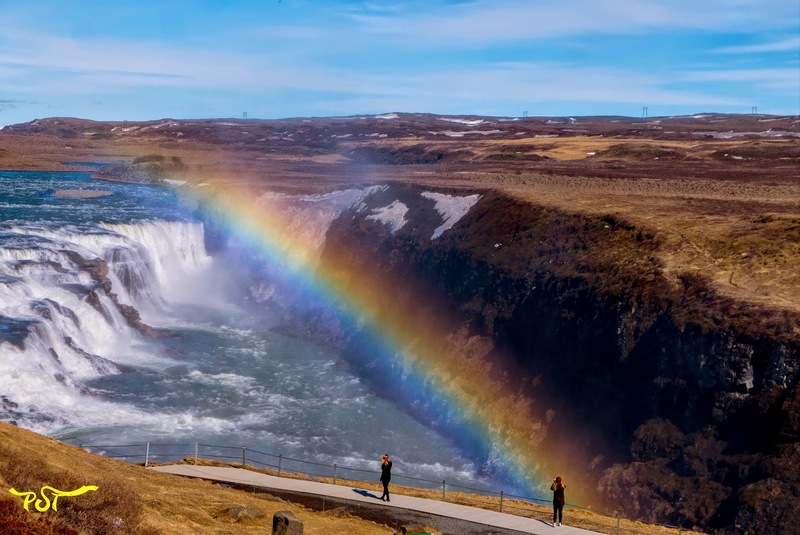 Looks like it surely is a good place to relax with family.. thank you for touring us there! 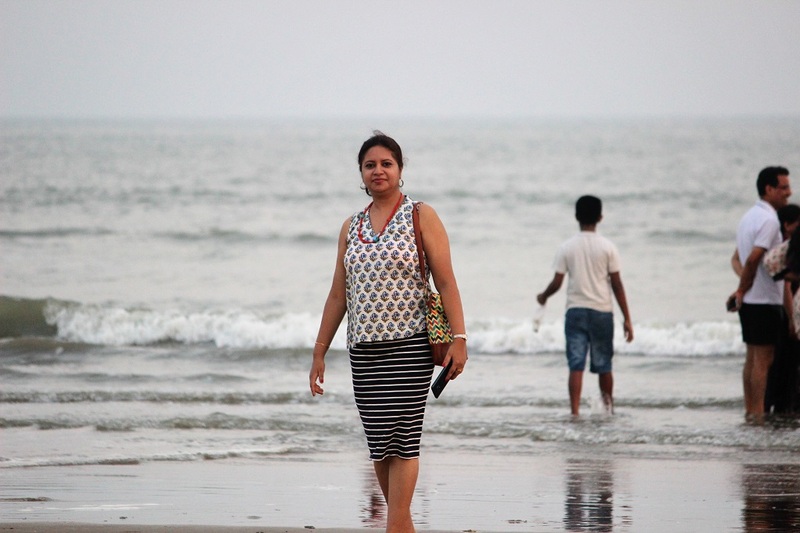 Hi Archana, glad you liked my post ;it was indeed a very relaxing vacation. Enjoyed reading about your trip to Mandarmoni. We made a trip to these shore some eight years back (an article, I guess, exists somewhere in these pages of Ghumakkar). As you rightly said, the place is all about unspoilt sea/beach, great seafood and getting oneself a bit closer to the magnanimous nature. Hi Auro, will definitely find out your article and read it. Thanks for liking my write-up. 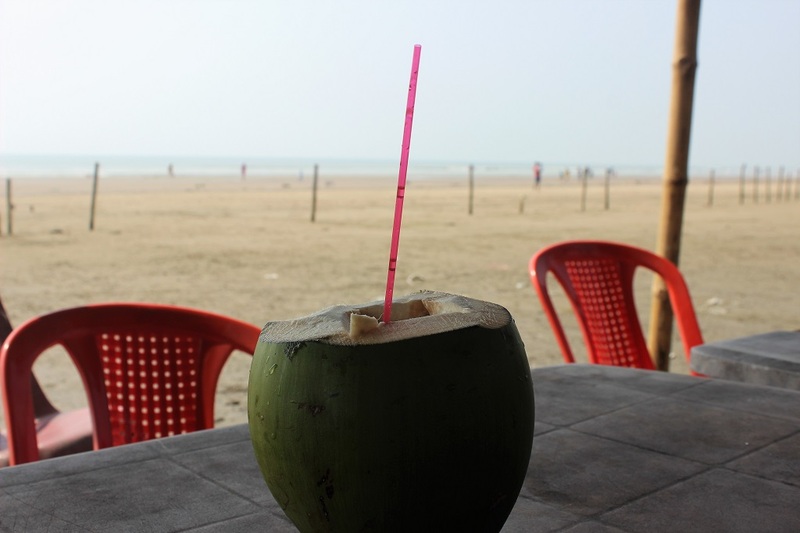 Sun, sand, seafood, pool, tender coconut…..what a heady mixture! Glad to go thru your account of the place, Koyela. Thanks Patrick, I’m so glad that you liked it. I think I read Tajpur for the first time and would remember ‘crab curry’. Lets see for how long, never been to Mandarmoni except through Ghumakkars like you Koyela. Thank you for sharing. Thanks for liking my narrative, Nandan. It was indeed a wonderful trip and I did dig into some wonderful seafood out there. You must also give it a try soon!